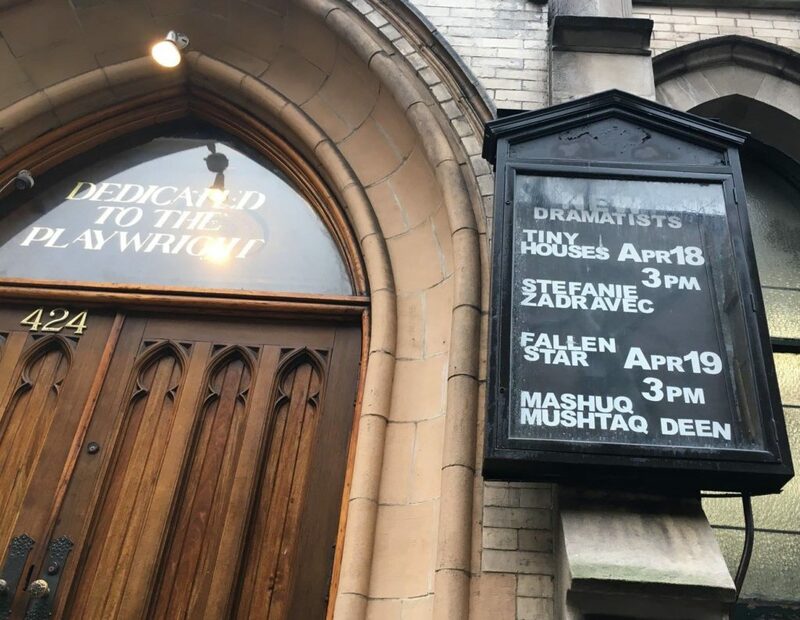 In April, I was fortunate to co-direct a workshop of Fallen Star: a music-theater piece I’m writing with playwright Mashuq Mushtaq Deen (a collaborator from the Composer-Librettist Studio, who I am also working with on play The Betterment Society). This project started with a single song and blossomed into 40 minutes of words and music (that want to be 90 minutes!) during a few weeks of intensive writing with Deen. The piece was given further shape through the contributions of an artistic team of otherworldly genius—music director Charity Wicks, singers Blake Friedman, Nicole Mitchell, and Camille Harris, and dramaturg Cori Ellison—who spent five days developing the project with us as part of a Creativity Fund workshop at New Dramatists. Our work culminated in an informal presentation for an audience of friends and colleagues, who generously provided us with feedback in a Critical Response Process. This was one of those moments when I’m particularly aware of the beauty of being an artist in New York City—and the beauty of New Dramatists, a remarkable institution supporting artist-led development.